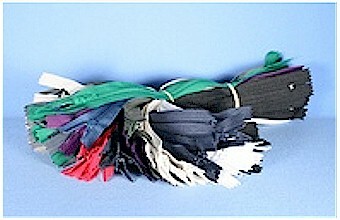 Home / Zippers / #3 9” Nylon Coil Zippers Bundles / 1 DozenYou select the colors. Enter number of each color desired for this order of 12 zippers. For example: 4-519, 6-628, 2-573. Total quantity not to exceed 12.